Three dozen retired generals and admirals release an open letter supporting the Iran nuclear deal and urging Congress to approve it. Three dozen retired generals and admirals released an open letter Tuesday supporting the Iran nuclear deal and urging Congress to do the same, reports The Washington Post. The release came as Secretary of State John Kerry warned that America’s allies were “going to look at us and laugh” if the United States were to abandon the deal and then ask them to back a more aggressive posture against Iran. The letter from the retired military officers followed the release this past weekend of a letter to President Barack Obama by 29 of the nation’s leading scientists, who called the Iran deal “technically sound, stringent and innovative”. 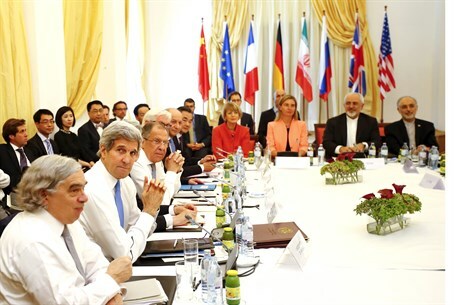 Previously, 100 former ambassadors, both Democrats and Republicans, wrote a letter supporting the deal. Signers of the military letter include retired general and flag officers from every branch of service. They include four-star Marine Gens. James Cartwright, former vice chairman of the Joint Chiefs of Staff, and Joseph P. Hoar, former head of the U.S. Central Command; and Gens. Merrill McPeak and Lloyd W. Newton of the Air Force. “There is no better option to prevent an Iranian nuclear weapon,” the letter said, according to the Washington Post report. “Military action would be less effective than the deal, assuming it is fully implemented. If the Iranians cheat, our advanced technology, intelligence and the inspections will reveal it, and U.S. military options remain on the table,” it said. Congress continues to review the deal that was reached last month between Iran and six world powers and has until September 17 to accept or reject it. Republicans have objected to the deal as not tough enough to prevent Iran obtaining a nuclear weapon in the long run, while several Democrats have expressed support, the latest being Jewish Senator Brian Schatz from Hawaii, who on Monday announced that he backs the deal. Obama has threatened to veto any legislation passed by Congress blocking the deal.